A friend: not good or bad in life’s dictionary. Happy friendship day to you ..!!! So glad to see you post dear one. lovely lilt to the beautiful thoughts! Happy Friendship day to you too. 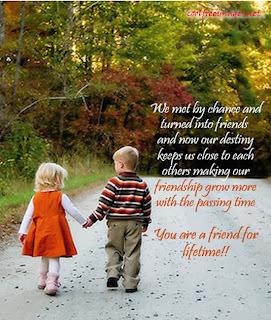 Although belated, wish you too A Very Happy Friendship Day! It has been a long time you haven't posted anything! I hope everything is fine with you!